There’s more than just coffee in this specialized Coffee Bean Tea & Leaf concept restaurant. During the infancy stage of 26th St. Bistro, I often confuse this place as the same with other CBTL branches. What not most of us know, 26th St. 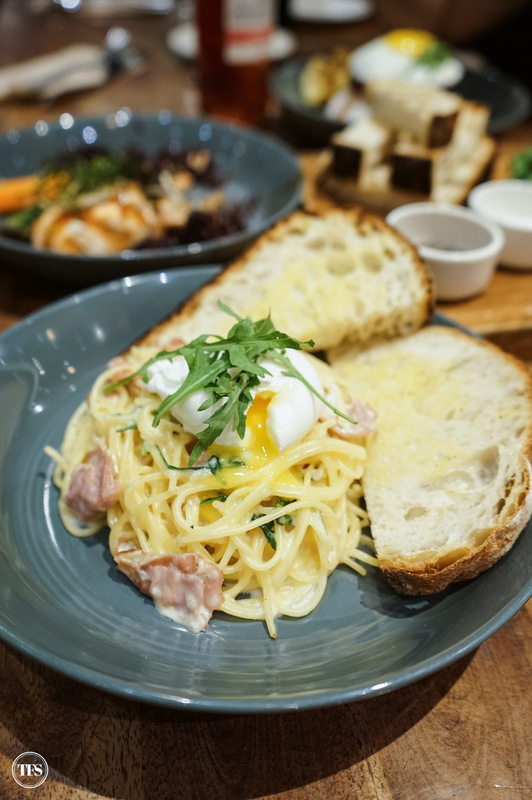 Bistro by Coffee Bean & Tea Leaf Philippines is a full-service restaurant that serves a wide array of dishes and beverages. You don’t have to line up at the counter for your orders anymore. Take a seat, relax and wait for the server to get your order just like in a typical casual restaurant. One Friday night a.k.a. “Fridate” with my hub, we headed to the Shangri-la branch of 26th St. 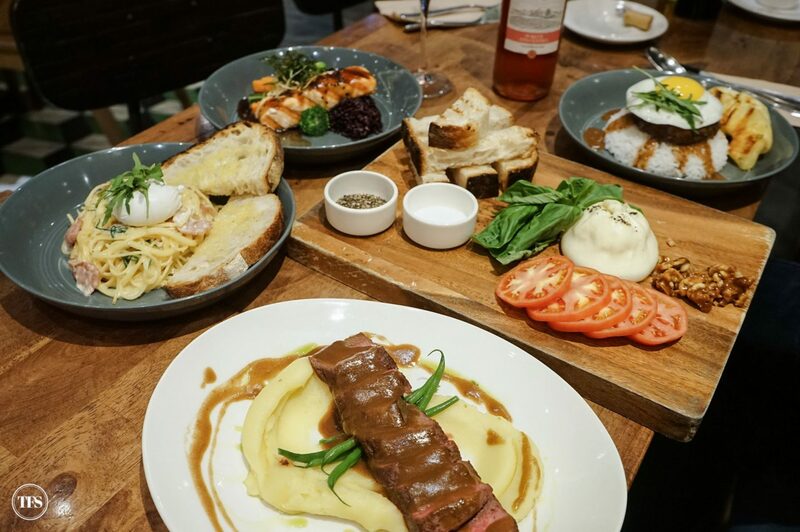 Bistro to try their newest wine paring dishes on the menu. Our wine bottle for the night was the lightest among the choices given to us. Sad. I kid! Haha! I’m a breastfeeding momma for those of you who don’t know. A few sips were enough for me while my hub enjoys more of his wine. Haha! What cheered me up was finding out 26th St. 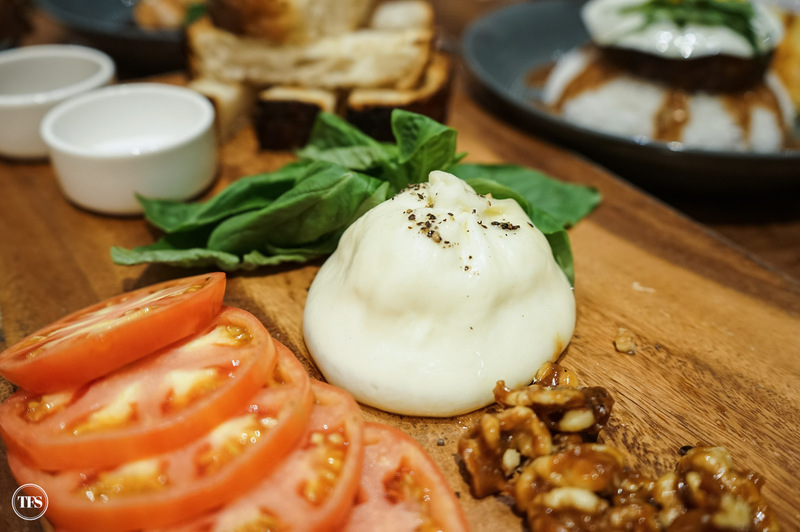 Bistro has this Burrata, Fresh Tomatoes & Basil on their menu. 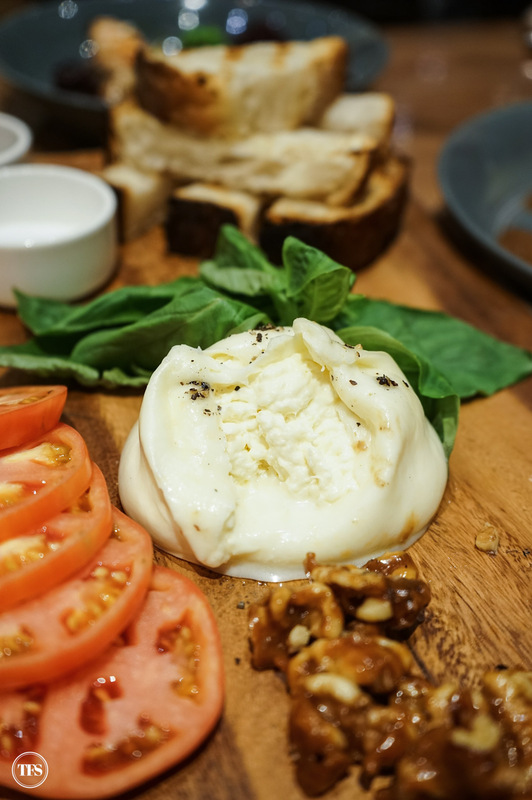 Ball of burrata served with fresh tomatoes, basil and large cut of grilled sourdough started the night right. I couldn’t ask more. Well, except for more wine. Hehe. Initially planned to stay away from white sauce pasta dishes but it would be a big mistake if I skipped this Prosciutto Pasta with Cream. Hands down another favorite among the dishes served to us. Prosciutto & spaghettini in cream sauce was topped with poached egg and fresh arugula. A must-order! When I have my glass of wine, I must have my meat. 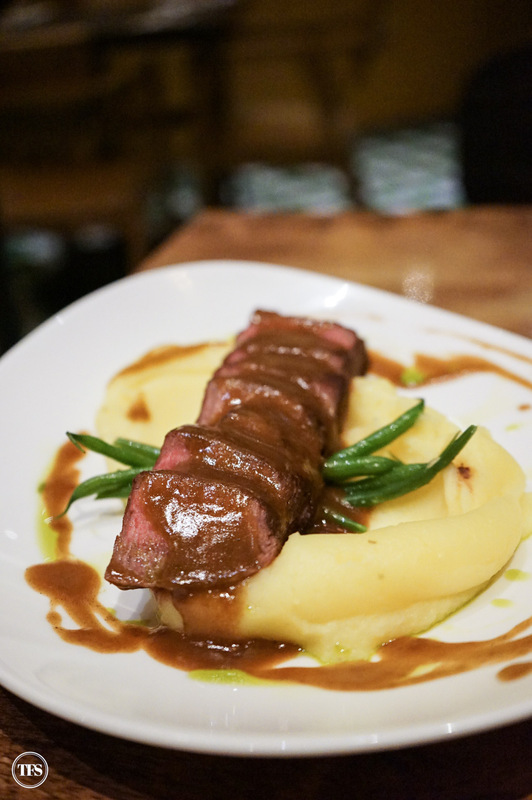 Steak in Marsala Sauce, USDA steak on a bed of mashed potato, left us wanting for more. O and I would go back for this deliciously cooked red meat red wine. 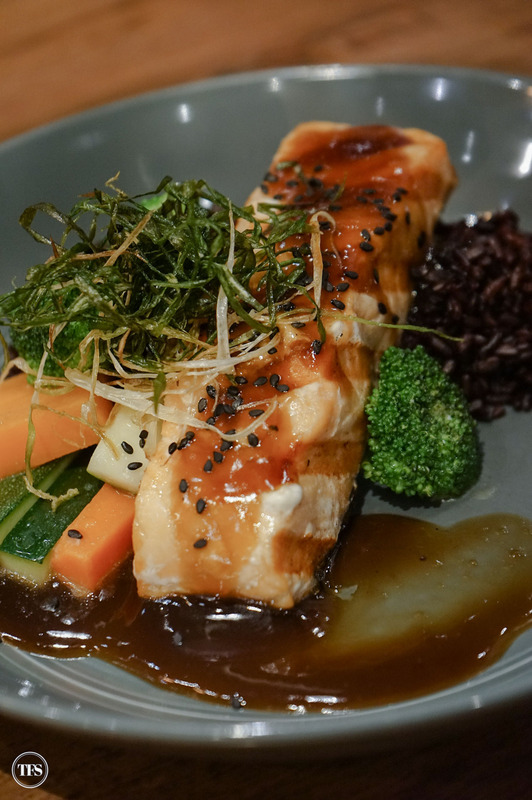 Grilled Teriyaki Salmon is an excellent choice for salmon lovers. But for those who doesn’t enjoy sweet teriyaki sauce like me, you’d rather eat your grilled salmon with buttered veggies and without its sauce. I have nothing against the tenderness and taste of the salmon. It’s actually perfectly cooked. 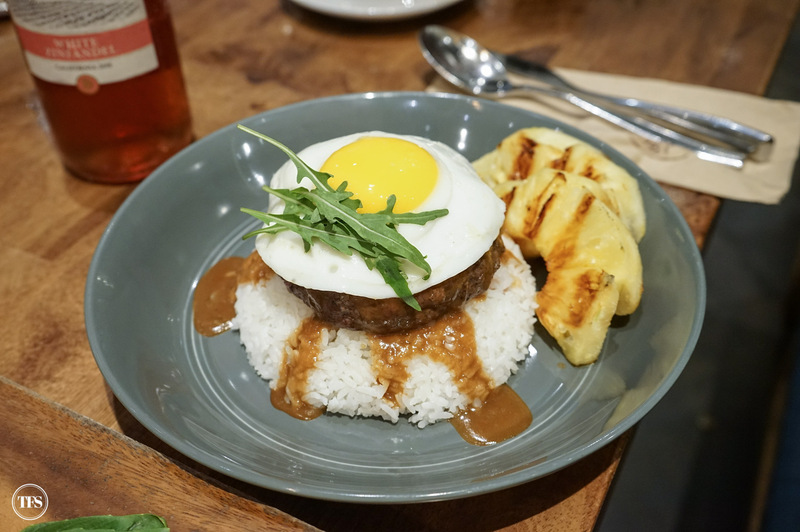 Say goodbye to them buns in this Loco Moco plate. 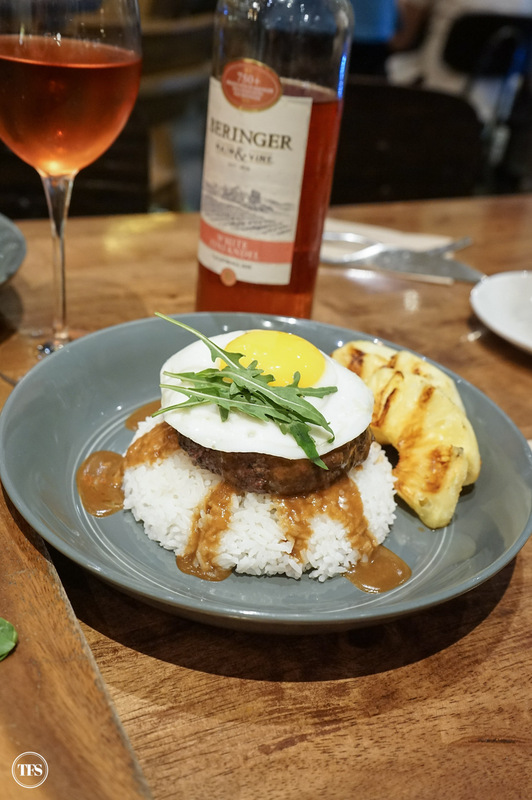 Aloha to this grilled USDA burger steak and rice topped with caramelized onions, sunny side up egg and rum gravy is the game of this dish. Paired with grilled pineapple slices on the side, it’s quite the comfort food you’d want after a long day from work. Don’t forget to pair this dish with a glass of vino. We can never let anything take our friday nights together. 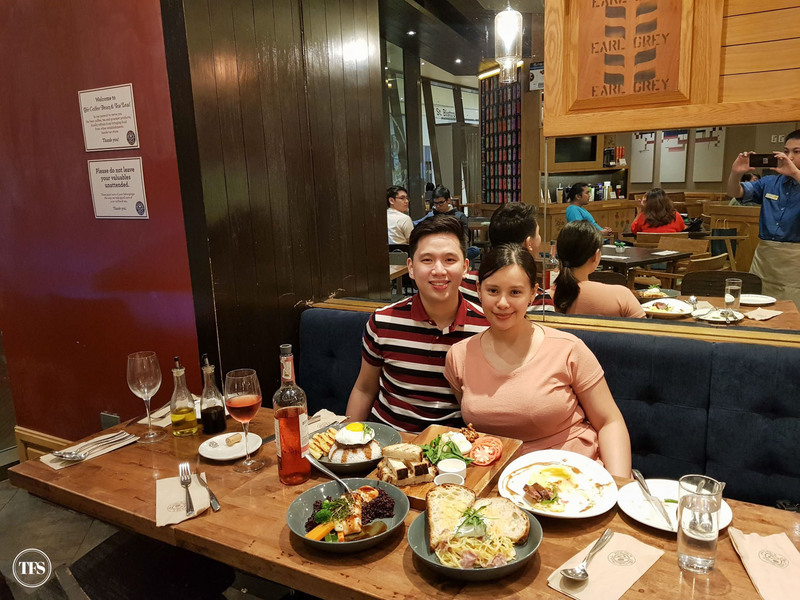 Our “Fridate” has become our tradition, with or without kids. What do you think of 26th St. 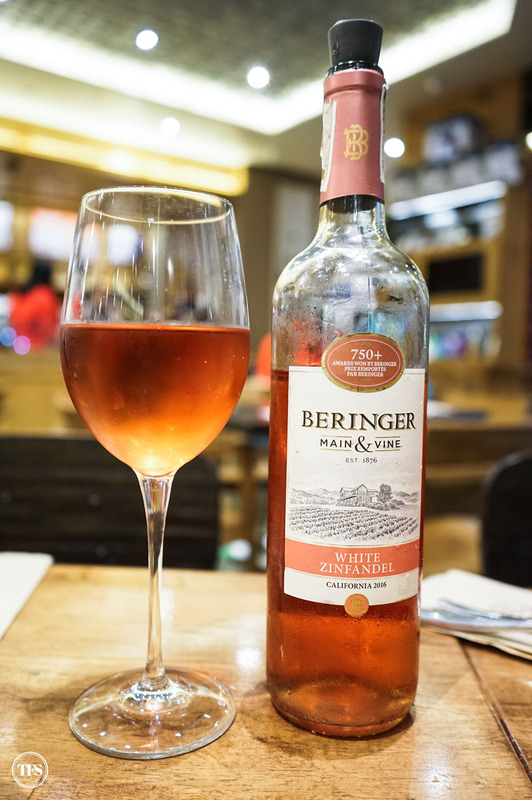 Bistro by CBTL and their wine pairing dishes? Share with me your thoughts!